The Genius Maker is work-in-progress, edited from footage shot over a period of 5 years, a vision of what can happen when parents get overly invested in their child's success in our increasingly competitive educational system. Joe Gibbons plays Dr. Baldwin the self-styled child education expert eager to put his unorthodox theories into practice. In Rumplestiltskin fashion, he manages to convince a pregnant couple that by allowing him to coach their daughter from birth, he can guarantee her acceptance into a coveted "gifted-only" kindergarden program. 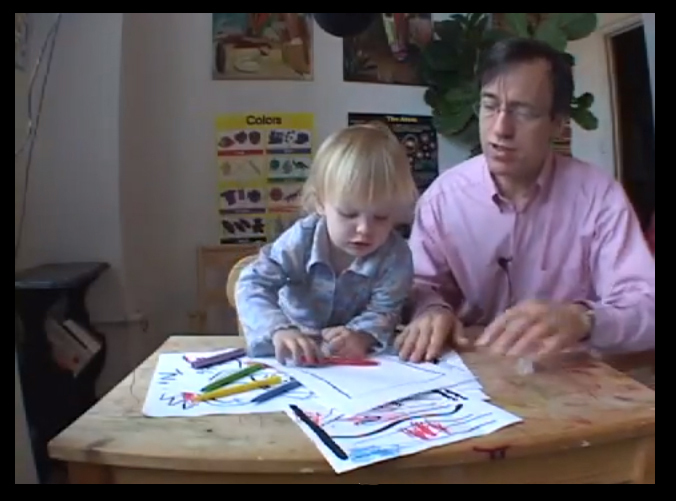 Dr. Baldwin documents his lessons with the young Zoe as proof that "geniuses are not born, but made." What gets recorded over the next five years is his growing desperation for success and Zoe's growing indifference to it.